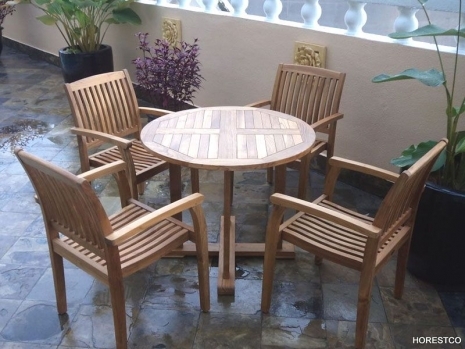 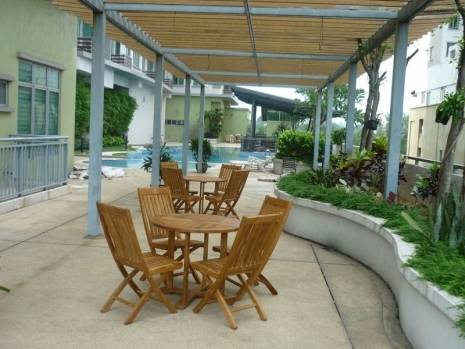 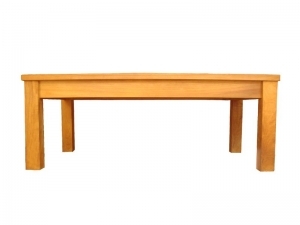 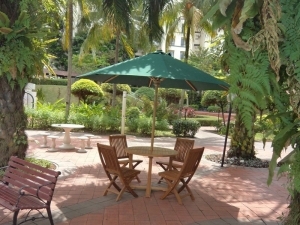 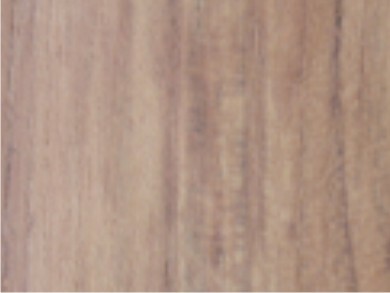 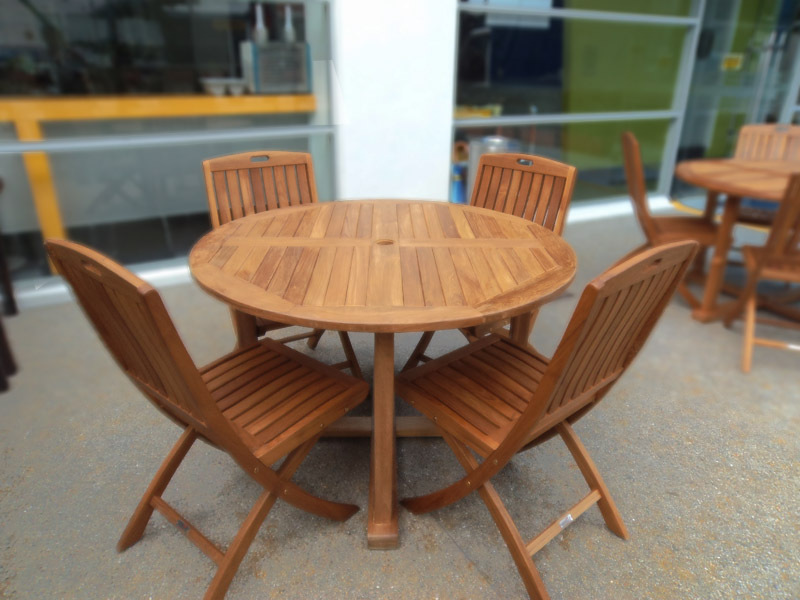 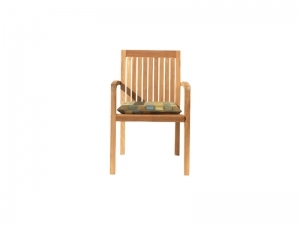 Made of Solid Teak Wood, it is best suited for Garden or Pool Side Areas. 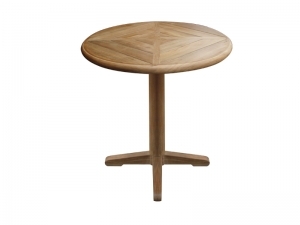 Can be fitted with an umbrella in the center. 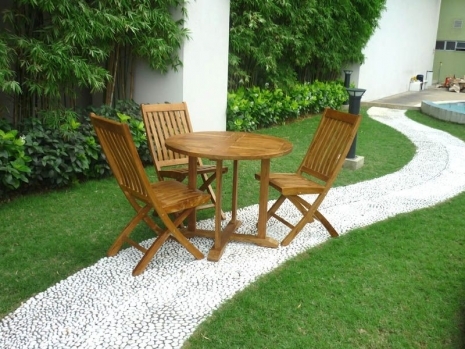 Four cross base legs gives it a proper support and thus make it durable and long lasting.